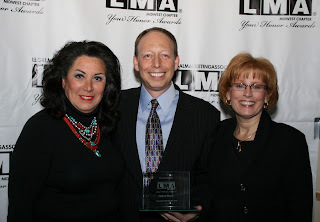 The LMA Hall of Fame was created to recognize extraordinary contributions by individuals in our industry. This award represents the highest levels of experience and leadership in legal marketing and contributions made to LMA Midwest, the legal marketing profession, and our community of professionals. 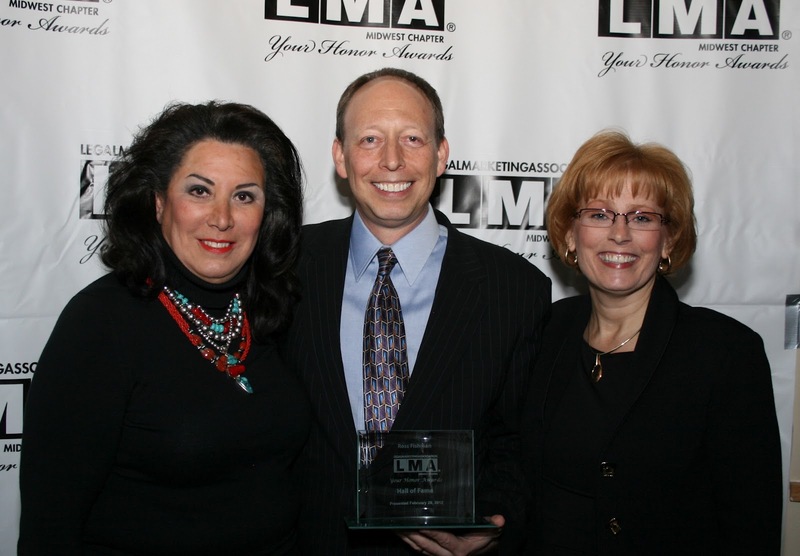 Ross Fishman of Fishman Marketing embodies the definition of Hall of Fame inductee. Ross is one of the early members of NALFMA, which is now the Legal Marketing Association. He is known for some of the industry’s most well-known campaigns. Ross’s creativity and sense of humor have helped him do something that few legal marketing professionals have been able to do — inject humor into law firm advertising and branding campaigns. Ross’s campaigns have received numerous Your Honor awards. He has been the recipient of the optional Best of Show award five of the nine times it has ever been presented. Ross showed his creativity early when he won the 1996 Best in Show honor for developing the nation's first written service guarantee for Ungaretti & Harris, leading to a 50% increase in revenue in 12 months. In 2000, Ross showed that a little humor can go a long way when he won Best in Show for his Bug Law strategic targeting and integrated marketing campaign for Crosslin, Slaten & O'Connor, or as most of the universe knows them, the Bug Lawyers! And, in 2005, Ross won Best in Show for Laner Muchin’s Two-Hour campaign, in which the firm branded itself as the nation's most-responsive firm, returning all client calls within two hours. A fellow of the College of Law Practice Management and a Board Trustee, Ross has written more than 200 bylined articles, including five monthly columns, given more than 200 speeches globally, sat on the editorial board of five national magazines, and conducted more than 250 law firm retreats. He is also the first legal marketing professional to testify as an expert witness in a highly publicized branding-related lawsuit. An active LMA International member since 1990, Ross was the 1998 Vice President, a member of both the Strategic Planning and Best Practice Task Forces, and chair and moderator of seven consecutive national day-long QuickStart/Boot Camp programs. He has continued his record of service with LMA Midwest, most recently serving as chair and moderator of the chapter’s 2011 Midwest Conference. While he is known to many of us as a “recovering attorney” who’s known for his educational and entertaining presentation style, Ross is also known as a caring and generous mentor who is always available to answer a question and provide sound, impartial, and impassioned advice when called on. Ross was one of the first people we met at an LMA meeting way back in the early 1990s. He took the time to get to know us and to introduce us to others in the organization. As our careers progressed, we both often checked in with Ross to seek advice or just catch up. When Ross was inducted into the LMA International Hall of Fame, Laura Meherg said that “he connects people and connects with people. A true leader, friend, and mentor, Ross’s creative mind has helped redefine our field.” We wholeheartedly second that! Congratulations to Ross Fishman and to all 2012 award winners and finalists on their outstanding achievements! Joy Long, Director of Marketing for ORBA, and Sydney Iglitzen, Director of Marketing & Business Development for Schopf & Weiss, served as Co-Chairs along with Megan McKeon of Katten Muchin Rosenman for the 2012 LMA Midwest Your Honor Awards.